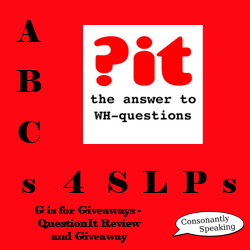 Do your students need the inside scoop on how to answer WH questions? Look no further than QuestionIt! This application has it all and with different levels of visual and auditory cues for students at different levels of mastery! It also has four different types of ways to practice depending on a student's level of mastery. 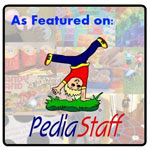 With a whole new voice and so many different options, it is a must-have for speech-language pathologists! Continue reading for my review and a giveaway of this great application! The first thing you will notice about the application are the four cards in the middle of the screen. Press the cards to hear the narrator explain what answers each type of question ("a person answers a who question", "an action answers a what doing question", "a time answers a when question", and "a place answers a where question"). 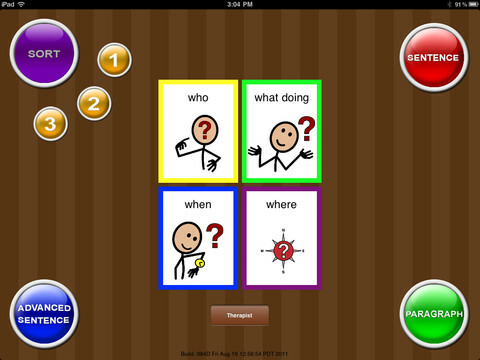 You will also notice four buttons to choose the type of activity to use with each student. Finally, there is a button at the bottom of the screen titled "Therapist". Pressing the "Therapist" button will bring you to a screen showing the a list of students who have used the application and their data for each session. You can add a new student to the list by pressing the "New Student" button and typing via the keyboard into the blank, white box. If you wish to re-name a student, tap to highlight his or her name, press the "Rename Student" button, and try entering the name again on the keyboard. If a student has previously played the application, data for each session will show to the right of his or her name. Data shown associated with the student includes the date, time, and duration of the session, the type of WH questions presented, and the accuracy the student had on that type of question. To clear a student's data, select a user and press the "Clear Student Data" button and then the "Yes" button on the pop-up box. You can delete a student from the application by pressing to highlight the student you wish to delete and then pressing the "Delete Student" button followed by the "Yes" button on the pop-up box. Finally, you can e-mail a report by highlighting the student whose report you wish to e-mail and pressing the "E-mail Report" button. Make sure your Mail application on the iPad is connected with your e-mail, otherwise this will not work. Another button on the Student Tracking menu is the "Feedback" button. Pressing this button opens up an e-mail so that you can notify the developer of any questions, comments, suggestions, or concerns. The blue button with the arrow will bring you back to the main page of the application. 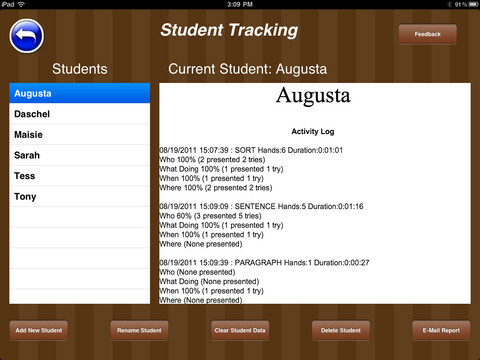 Choose a student from the "Therapist/Student Tracking" menu and his or her name will appear at the top of the main page. Then, select the activity in which you wish to have them practice as well as the level of difficulty/cues. Pressing on one of the buttons in the four corners will cause 2-3 additional buttons to appear with numbers on them. These correspond with the amount of visual/color cues associated with the level of play. Level 1 - Maximum visual/color cues. Press the "Sort" button followed by a number button (to choose the difficulty) to play a game of matching objects, actions, places, and people to the appropriate WH question types. You can press on each card to hear it read aloud. There are boxes outlined beneath each question type showing where to place the associated card at the bottom of the screen. The student must determine what type of question the card answers. For example, if the word is "mopping", that is an action, which answers a "what doing" question. Clicking and dragging the card to the appropriate box will have the narrator state the answer aloud followed by whether the card is an action, person, place, or thing and what type of question it answers (who, what doing, when, or where). Then, a new card will appear. If the card is placed incorrectly, it will read the card aloud and the card will move back to its original spot so that the student can try again. Once the child is done practicing on the application, press the blue arrow button to head back to the main menu. Four cards (one answering each type of question) will appear in a sentence without articles and other words in between. However, the narrator of the application will read a complete sentence as well as the question asked. For the "Sentence" option, there are three different levels and the time card is at the end of the sentence. For the "Advanced Sentence" option, there are only two different levels and the time card is at the beginning of the sentence. 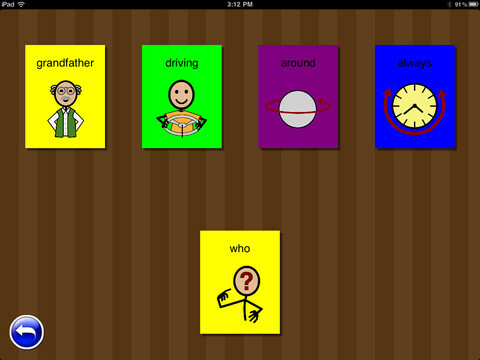 Instead of dragging the cards, the user must press the image in the sentence that answers the type of question presented at the bottom of the screen. For example, if the sentence is "The boy is crying at the hospital now", only the words "boy", "crying", "hospital", and "now" appear. If the question is "what doing", the word "crying" should be tapped. In both forms of game play, once the correct answer is pressed, the narrator will state a sentence such as, "yes, crying answers what doing, crying is an action". The question will always be in a full sentence as well such as "what is the boy doing". Finally, if the correct answer is chosen, a green arrow facing to the right will appear to press to go to the next sentence. If an incorrect answer is chosen, no reinforcement will occur. There are two options for levels of color cues in for "Paragraph" application play. Choose which one is the most appropriate for your student. Then, a paragraph with a maximum of twelve cards will appear with a maximum of four key words per sentence. The paragraph will be read aloud by the narrator with each card appearing as the word is stated in correct sentence structure, but there are still no articles/other words shown in between. Then, once the paragraph is read aloud, the question card will appear to the right and will be read aloud in a full sentence. The student must press the correct image/word to answer the question. For example, if the paragraph states, "The man is eating at the restaurant today. The woman is sitting beside him. Later, the boy will be washing the kitchen" and the associated question is "when is the boy doing it? ", the "later" button in the sentence associated with "the boy" should be pressed. If the correct answer is chosen, the narrator will state a sentence such as "yes, later answers a when question. Later is a time" and a green arrow button will appear to go to the next screen for a new paragraph. If the question is answered incorrectly, there is no reinforcement but the student will not be able to move on to the next screen. The fact that you can keep data on the application saves on time for the therapist. Plus, the amount of data is very detailed, including not only the accuracy but the level, type of cues, number of WH question presented, number of trials per question, date, time, and duration of each session. I love that you can decide the amount of visual color cues to use especially due to the fact that each student is different and you can use this application with various age groups this way. Placing the four types of WH questions on the main page allows the therapist to teach a lesson associated with each card. Verbal feedback is important as a reinforcer to help students remember what types of words answer which type of questions. Hearing answers repeated each time definitely helps! Having four different activities (sort, sentence, advanced sentence, and paragraph) is great so that you can use the application with students at different levels of mastery and scaffold to the each student's needs. It would be great to have a button on the side to repeat the whole sentence or paragraph if a student did not hear it the first time. Having a sound or visual associated with incorrect answers would help students understand that they got an answer wrong so that they will not try to press the same card again and get a lower accuracy score. A tutorial to go with each question word showing how to use each level might be fun with the option of turning it off for students who have already seen the intro! 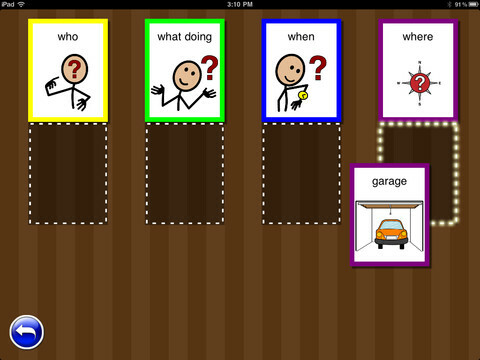 Receptive Language/WH Questions - Using this application will help students understand how to answer WH questions and what types of words are associated with certain WH questions. Expressive Language - Using this application will help students hear how to formulate a WH question as well as see visuals of sentence structure. In addition, you can ask a student to form a WH question of your choosing on his or her own. Auditory Bombardment - The application repeats correct answers as well as what types of words answer which types of questions quite frequently. 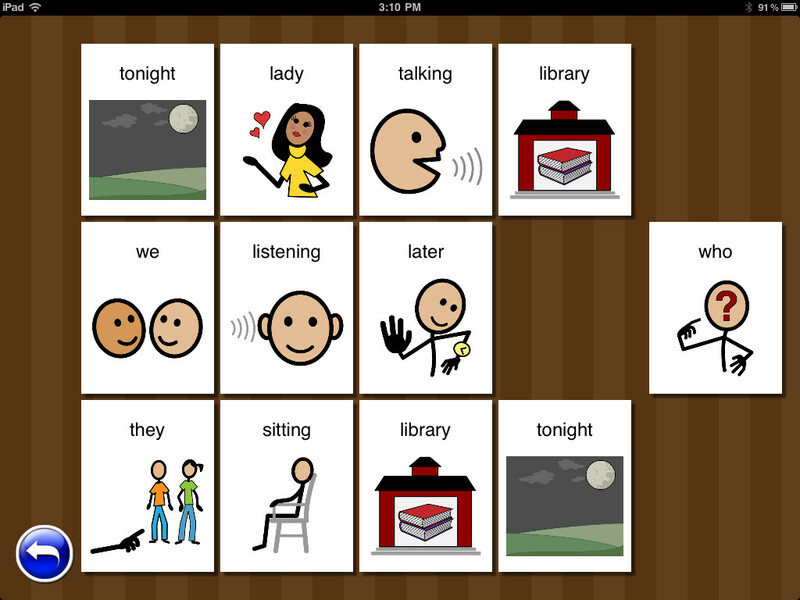 Having a student watch and listen to you play the application, especially using the "Sort" levels, will help the student hear the different words and questions over and over. Social Language - Since the application is all about asking questions, explain that we do this in conversation whether it is small talk or we want to learn about a person or topic. Have students practice asking each other "WH" questions. QuestionIt is available on the iPad for $24.99. You can download the "Lite" Version of the application for free if you want to give it a try before you purchase it. 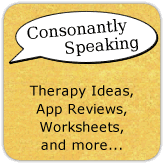 Consonantly Speaking was given an application from Language Learning Apps LLC to give away with this review. No other form of compensation was given. Enter the giveaway below for your chance to win a copy of this application!